Tips to reduce mobile phone radiation exposures. to use mobile phone with low emissions and follow these tips to minimize radiation exposure (according to EWG) in the meantime. 1. Get a low-radation phone. Time to change your mobile phone? Replace it with one that emits the lowest radiation and fulfill your needs. Headsets emit much less radiation than phones. Some wireless headsets emit continuous low-level radiation, so when you are not on a call take them off your ear. Using your phone in speaker mode also reduces radiation to the head. 4. Hold your mobile away from your body. Hold the phone away from your torso when you’re talking (with headset or speaker), not against your ear. Put it in a place where soft body tissues absorb radiation. 5. Prefer texting than talking. 6. Stay off the mobile while signal is poor. Make and answer calls when your phone has a strong signal. 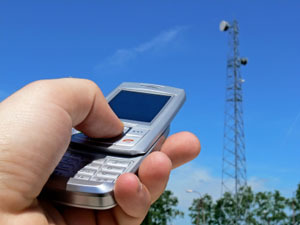 Fewer signal bars on your phone means that it emits more radiation to get the signal to the tower. 7. Limit children’s phone use. Young children’s brains absorb twice the cell phone radiation as an adult’s. Limits children’s phone use, such as for emergency situations only. Radiation shields such as keypad covers reduce the connection quality and force the phone to transmit at a higher power with higher radiation.